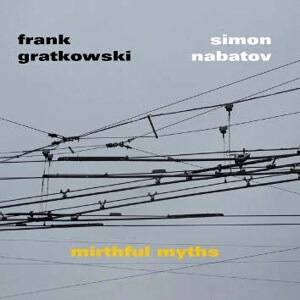 Gratkowski and Nabatov crossed their musical paths over 30 years ago and maintained this mutually rewarding creative and personal connection ever since. Having played together in most diverse settings imaginable, here they find themselves for the first time as a duo – arguably the most honest and intimate art form in music. Open and unforced by any agenda, with so much already shared and yet so many surprises ahead, they lead a conversation about things close and very distant. Gratkowski and Nabatov are traveling along the lines of their own mythology, letting the listener participate in their absorbing storytelling.